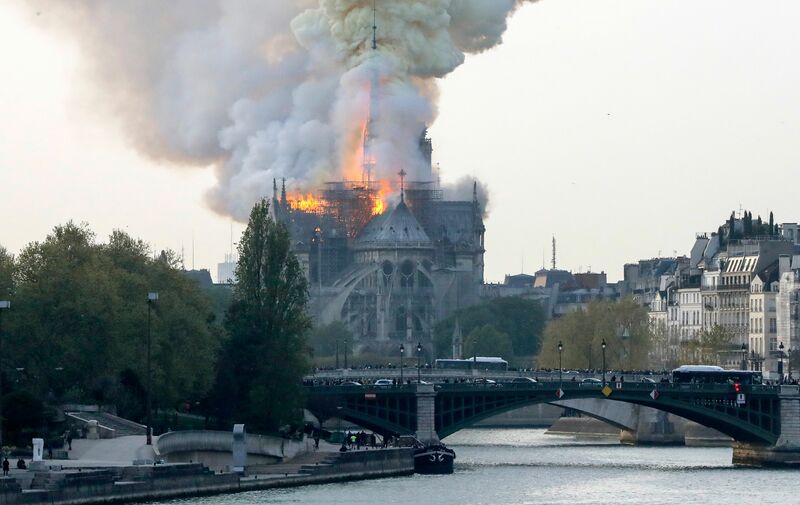 Thread: Notre Dame, What do you think really happened? Was a Sad Day in History for sure for anyone. Christian, Catholic, or what ever. Large part of history gone forever. I think the timing is odd. It's being reported as an accident, but last month alone there was 47 documented attacks on churches and religious sites in France. It can't be ruled out so fast, could be another attacker that took the remodeling as an opportunity. I want to think it was an accident.... But, the fact that multiple predominantly Catholic churches have been targeted it is hard to not look elsewhere. Having been there, Paris, in 2017and experienced 2 incedents and its hard not to point the finger in a particular direction. Just about all the homless or street beggers were foreigners. The local police were patrolling, along with the Gendarmes and the French Army. All were carry semi auto weapons and in some cases full auto. I counted 6 in the subway, 4 in one group and 2 in the other. Also, French Army doing secuity at Napoleon's Tomb and at Notre Dame. Last edited by hemi_57; 04-17-2019 at 09:45 PM. Assuming the fire was not intentionally started, and there was the beginnings of a renovation, my first thought was a welding incident that had an insufficient fire watch for a very old all wood construction building. Please refrain from using ethnic slander. Disrespect for ethnic origin will not be tolerated. Having been there, Paris, in 2017 and experienced 2 incidents and its hard not to point the finger in a particular direction. Just about all the homeless or street beggars were foreigners. The local police were patrolling, along with the Gendarmes and the French Army. All were carry semi auto weapons and in some cases full auto. I counted 6 in the subway, 4 in one group and 2 in the other. Also, French Army doing security at Napoleon's Tomb and at Notre Dame. I'd like also think it was an accident as well. My Son was in Paris in 2015 during the bombing. Hmmm, maybe it was that crazy white guy in louisiana took a little trip? You know, the police chiefs son who burnt down multiple historic churches primarily attended by black folk and is now being charged with hate crimes? I mean if we're going to baselessly speculate based on nothing but our own prejudices, may as well keep it current and equally baseless. Finally..two posts of merit outside of BrGuy's. well to be fair, the first post is completely without merit, but that was the point, since merit-less vitriol seems to be what this thread is for. I think it's a toss up. It's easy to imagine a whole variety of accidents that could start a fire. Varnish on rags will spontaneously combust under the right conditions, electrical fires in old wooden buildings are not uncommon and can be ferocious. On the other hand there are many possible criminal motives. I'm not sure we'll ever know. And now the NYC incident.